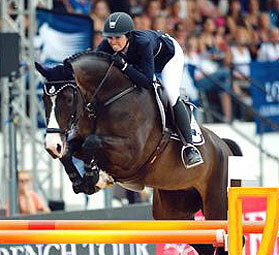 He reached international recognition in CSI and as a sire. FN's predicted breeding value statistics for several years. 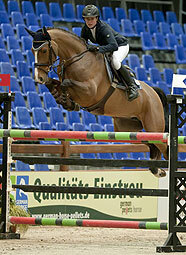 Stakkato Gold is the new star of the German stallions ! 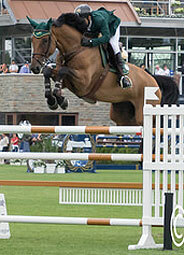 Stakkato is one of the best stallions in the World, ranked 52nd on the WBFSH ranking list in 2016. 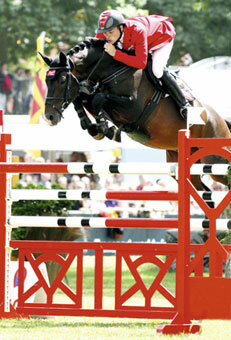 In 2007, Stakkato is named hanoverian Stallion of the year. 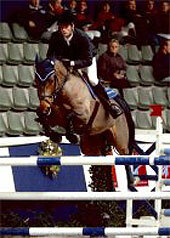 He has produced many international winners like Saint Amour, stallion, CSIO and CSIO5*, winner of the GP World Cup at Göteborg, Sundari, great international winner, the stallion Spotlight, who did CSI with Laurent Goffinet, ISO 143, St Germain evolving over GP5*, the stallion Ukato, 3rd of the 6YO World Championnship in 2007 and great winner in CSI, and also the performers Souvenir 29 CSIO5*, Sama Dubai FBH CSIO5*, Lucius de la Meurthe ISO 152, Ronaldo de la Pomme ISO 155, etc. 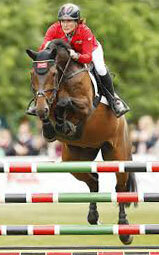 Excellent performer, Stakkato was already doing Nations Cup under the saddle of Eva Bitter at 8YO. 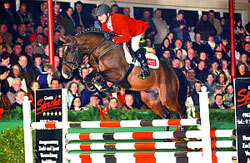 International performer, he was 2nd of the GP 1,60m CSI4* at Hamburg in 2003, 4th of the CSIO5* 1,60m of the final of the Samsung Super League at Barcelone in 2005, 2nd of the GP 1,50m CSI3* at Nörten-Hardenberg in 2007, etc. 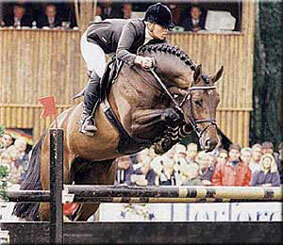 Son of Pia, who also produced Samsara, dam of the stallions For Hero, CSI with Kevin Staut ; Figaro C and Bolero de la Vie Z.
Wertherroeschen, his dam, was also an excellent mare for showjumping. 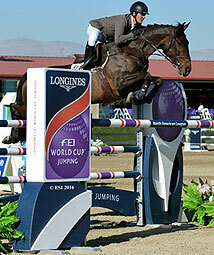 She performed in CSI 1,50m with Anthony Condon and Billy Twomey and was placed 1803rd on the WBFSH ranking list in 2010. 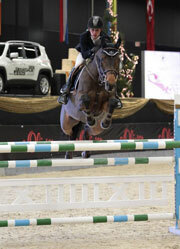 Modern jumper stallion, Stakkato Gold reached international recognition in CSI4* under the saddle of his owner, Jan Sprehe. 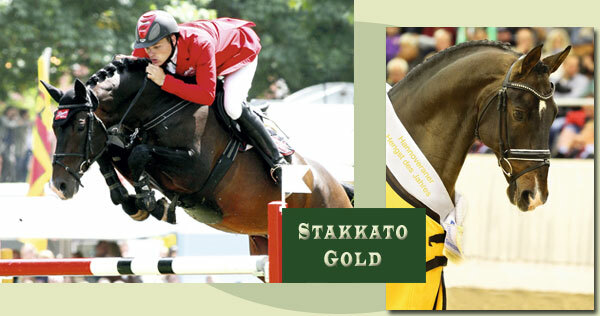 Stakkato Gold is the new star in Germany ! 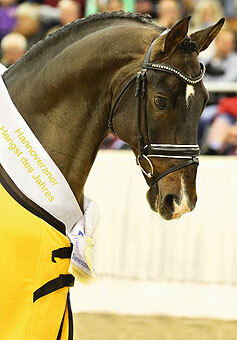 Named “Hanoverian Stallion of the Year 2015”, and even though he is a young stallion, he is already ranked 86th best stallion of the World ! 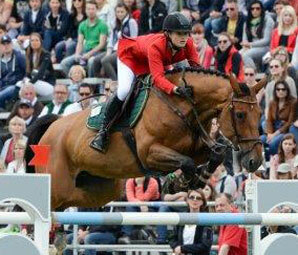 Stakkato Gold is moving on from his sire as a breeder, with already a dozen of his sons approved stallion (like Sir Obolensky Z and Solid Gold Z) and first offspring coming at the top of the international showjumping like : Shorapur (CSIO5* with K. Babington), Sansibar 89 (CSI5* K. Bahamdan), NKH Selena (CSI4* C. Heineking), Silence (CSIW5* J. Towell), Rahmannshof Stagoldina (CSI 1,60m I. von Borman), Savita 2 (CSIO5* 1,60m H. Von Ekermann), Shorapur CSIO5*, Solero 79 CSIW5*, Stakorado (CSIO5* 1,60m), the stallion Stakki's Jumper CSI 1,60m, H.W. 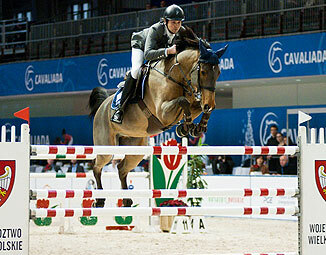 's Saskia CSI 1,60m, KS Stakki CSI 1,50m, etc. 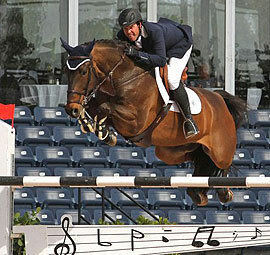 This excellent sire is recognized for the quality of his offspring. 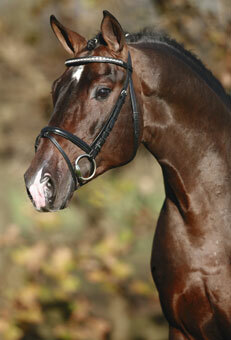 He crosses well with mares which are tall enough and gives to his offspring a lot of reactivity. 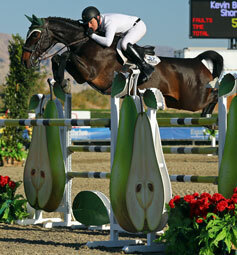 Stakkato Gold has got an excellent fertility rate.